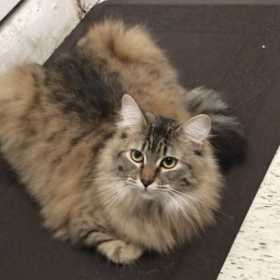 Aiyu is a large female brown tabby domestic longhair. She has white rings around her eyes with some tan and she loves being pet. She is extremely friendly toward people. She is about 10 lbs.